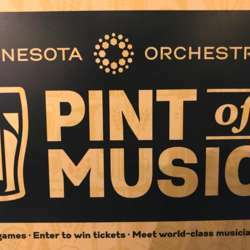 You must be a member of the Minneapolis Wine & Beer Enthusiasts Group to attend this activity. Would you like to join this group? Woodwind quartet mini concert by members of the Minneapolis Orchestra at one of the hottest new breweries in the Twin Cities. Enjoy some end of the week brews and relax. Concert starts at 730p but arrive early as these events draw large crowds, and secure a spot.